Audionic recently launched new range of Bluetooth supported speakers in Pakistan. 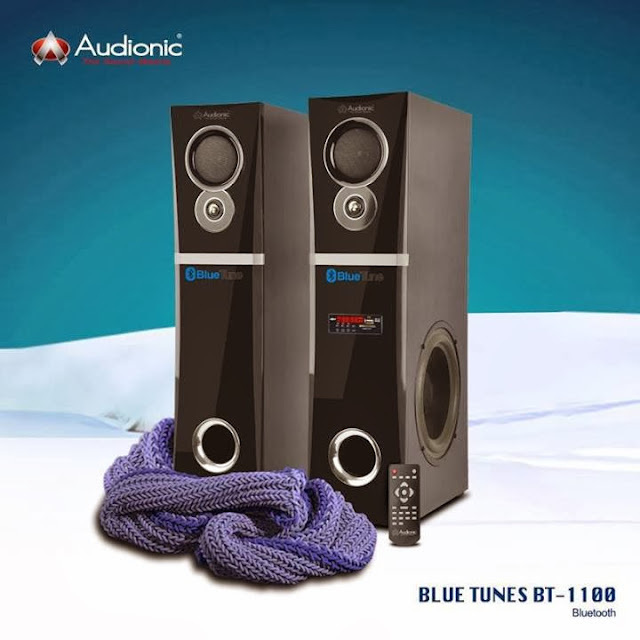 BT-1100 is one of from Audonic's Blue Tune range. Audionic BT-1100 is Bluetune 2.0 Channel hi-fi Speaker System with driving bass, lush midrange, multi-speaker audio system. It works with any Bluetooth device like mobile phone, laptop, or Tablet. Audionic blue tunes speakers have One year International Warranty.